Oxygen Botanical’s Antioxidant Cream is a great, light weight moisturizer ideal for fighting the build up of daily pollution and other daily extremities on your skin. At this time, Oxygen Botanicals is experiencing long back orders on some items. Please call us to find out if what you are purchasing is available. The Oxygen Botanicals Anti-oxidant Cream is an incredible cream that offers much more than the average moisturizer. The Anti-oxidant Cream serves hydration deep within the skin while protecting the skin from environmental dirt and buildup. Unique and potent ingredients included in this lightweight cream allow the product to quench the thirst of dry skin, yet protect, repair, and sooth the skin as well. The Anti-oxidant Cream combats free-radicals in order to preserve youthful and glowing skin so that things such as wrinkles, fine lines, and dark spots are no longer an issue. By using the Oxygen Botanical Anti-oxidant Cream, skin will feel firmer and softer and also look youthful, radiant, and luminous. The Oxygen Botanicals Anti-oxidant Cream contains various ingredients that perform in unison in order to achieve the amazing benefits mentioned above. Some of these active ingredients include Vitamins E Acetate, A, C Ascorbate and D, which work to provide the skin with proper nourishment and reduce the appearance of fine lines and wrinkles, as well as Sorbitol, which is a main source of hydration for the skin. This powerful and multi-purpose moisturizer also includes exotic and beneficial ingredients such as Evening Primrose and Japanese Green Tea Extract which sooth, repair, and protect the skin from damage. To apply the Oxygen Botanicals Anti-oxidant Cream, dispense a small amount of product into your hands and apply to the targeted skin area. Gently massage into skin using circular motions. 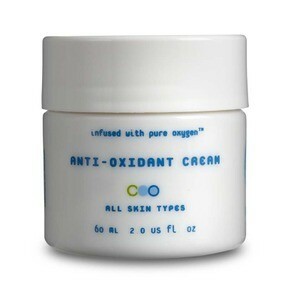 The Oxygen Botanicals Anti-oxidant Cream should be applied twice daily after applying cleansers, toners and/or serums. For an extra antioxidant boost, combine the Anti-oxidant Cream with Oxygen Botanicals Vitamin C Serum. Vitamin E Acetate, Vitamin A & D Retinyl Palmitate, Vitamin C Ascorbate, L-Ascorbic Acid, Vitamin D3, Sorbitol, Evening Primrose Oil, Japanese Green Tea Extract and Sorbitol.